Australian wholesaler of Turkish and Mediterranean foods Basfoods (Aust) Pty Ltd (Basfoods) has paid penalties totalling $30,600 following the issue of three infringement notices by the Australian Competition and Consumer Commission (ACCC) in relation to Basfoods’ “Victoria Honey”. The ACCC said it considered that Basfoods had misrepresented that its “Victoria Honey” was honey produced by honey bees on product labelling and on its website, when it was mainly comprised of sugars from plants including corn and sugar cane. In addition, the ACCC also considered that by naming and labelling its product “Victoria Honey”, Basfoods had represented the product as originating from Victoria, Australia when in fact it was a product of Turkey. Basfoods is an Australian company that supplies Mediterranean and Turkish food products. Basfoods supplied “Victoria Honey” to independent supermarkets, speciality retailers, online stores, delis, restaurants and cafes. Basfoods also supplied “Victoria Honey” through its retail stores and via its website. The Victoria Honey product was supplied in one and four kilogram containers from around January 2006 to 6 December 2013. From July 2011 to December 2013, Basfoods supplied 180,649 one kilogram tubs and 1,126 four kilogram tubs of Victoria Honey. The three infringement notices were issued to Basfoods because the ACCC had reasonable grounds to believe that the labelling of ”Victoria Honey” and Basfoods’ website contained false or misleading representations about the composition and place of origin of ”Victoria Honey”, in contravention of the Australian Consumer Law (ACL). Basfoods has provided an enforceable undertaking to the ACCC in which it has admitted that its conduct contravened the ACL. Basfoods has undertaken to only sell product as honey if it is entirely produced by honey bees, and to regularly test its products, including honey. Basfoods will also publish a range of corrective notices. 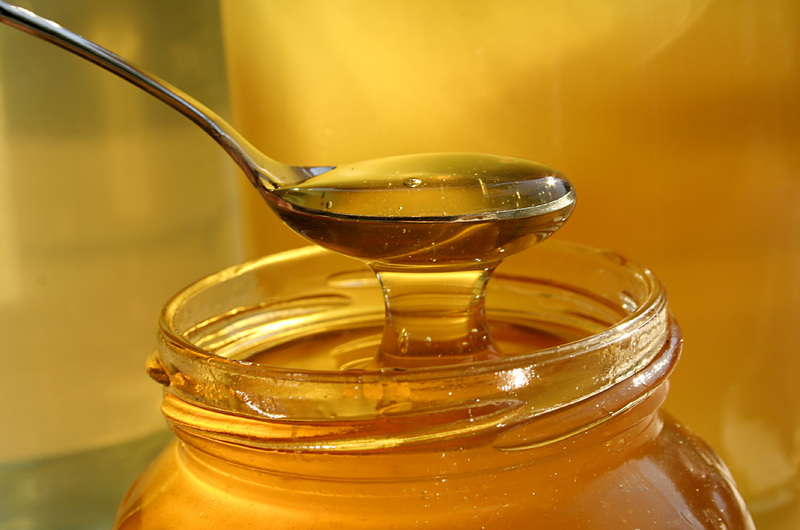 “It is difficult for consumers to test claims by traders that a certain product is actually “honey” or is from a certain place of origin,” said Rod Sims, ACCC Chairman Rod Sims. “False claims of this kind not only mislead consumers but can also disadvantage competing honey suppliers, particularly those who source honey locally within Australia,” Mr Sims said. “Honey suppliers should now be on notice that they must have a basis for selling a product as ‘honey’, which likely should include tests to confirm the product is in fact honey produced entirely by honey bees,” Mr Sims said. “The ACCC is aware of concerns in relation to other suppliers and products labelled as honey and will pursue these further with the benefit of the outcome in this matter,” he said. The investigation has been welcomed by industry representative group the Australian Honey Bee Industry Council (AHBIC). “Whilst AHBIC welcomes any action by the ACCC it is also concerned that the ACCC will not act to recall a product once it has been shown it is not as labelled and the public is being duped,” Trevor Weatherhead, AHBIC Executive Director told Australian Food News. He said the ACCC had previously declined to recall the product, telling the AHBIC that it was not a public health issue. “The excuse of it not being a public health is hard to comprehend,” Mr Weatherhead said. “After all, the ACCC is supposed to be enforcing the Australian Consumer Law,” he said. Mr Weatherhead told Australian Food News the AHBIC first complained to the ACCC about the Victoria Honey product in 2012 on the basis that the labelling could be interpreted as being from Victoria Australia and not as it is, a product of Turkey. The AHBIC said this concern was borne out when a beekeeper on the Gold Coast in Queensland reported that a sign outside a fruit shop had “Victorian honey”. The AHBIC said it obtained data from the Australian Bureau of Statistics (ABS) that showed the product was coming into Australia prepacked in 1kg tubs for $1.83 a kilo. “This set the alarm bells ringing,” Mr Weatherhead said. “This is way below the price that beekeepers in Europe get for their honey. Farm gate prices for honey in Europe are much higher than farm gate price in Australia,” he said. Mr Weatherhead said the AHBIC decided to have the honey analysed at a world renowned laboratory in Germany. Analysis occurred in Germany because of their ability to analyse for C4 sugars. The AHBIC said the results of that analysis came back showing the honey product was made up of 100 per cent C4 sugar, which the AHBIC said was “most likely corn syrup”. The AHBIC said it believed the product breached standard 2.8.2 of the Food Standards Code, so it lodged a complaint with Food Standards Australia and New Zealand (FSANZ) in 2013. When FSANZ replied to say the standards were enforced by the States, the AHBIC said it complained first to the State Department of Health in Queensland, where the Victoria Honey product had been purchased, and then to the Victorian Health Department, where the wholesaler of the product was based. The Victorian Health Department sent a sample of the product to New Zealand for analysis. The AHBIC said the test results were the same as the sample the AHBIC had analysed in Germany. This information was passed on to the ACCC. “Finally we are now at the point where some action is to be taken by ACCC,” Mr Weatherhead said. The AHBIC said there were two other similar products from Turkey that are sold under different labels that it was concerned about, one with a map of Australian on the front of the label. “All are 100 per cent C4 sugar as per the analysis from Germany,” Mr Weatherhead said. “AHBIC has also lodged complaints with ACCC about these but they still remain in the market place. Again they are not seen as a public health risk so will not be recalled,” he said. Mr Weatherhead said the AHBIC has a fourth Turkish product currently overseas being analysed. Australian Food News reported earlier in June that FoodLegal lawyer and expert Charles Fisher had warned that Australian food and beverage manufacturers should be careful about the labelling of their products and the ‘stories’ they tell about the products. Credence claims are representations of a premium or special characteristic that are difficult for a consumer to test the accuracy for themselves. They can be powerful marketing tools that can mislead consumers if improperly used and have the potential to adversely impact the competitive process and small businesses. In particular, the ACCC said that when larger businesses presented their products as having a particular feature when they do not, it can undermine the unique selling point that small businesses who do offer that feature depend upon to compete. Claims of this kind are a current enforcement priority area for the ACCC. Australian Food News reported earlier in June 2014 that the ACCC had accepted court enforceable undertakings from Barossa Farm Produce for false and misleading representations relating to its pork products. In April 2014, Australian Food News reported that the ACCC had accepted a similar court enforceable undertaking from Carlton & United Breweries (CUB), following concerns that had incorrectly represented that Byron Bay Pale Ale Lager was brewed by a small brewer in Byron Bay. Are insects the next essential ingredient?